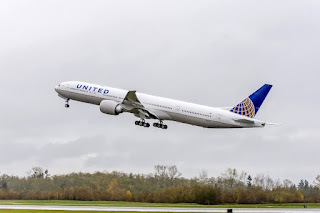 United Airlines removed its Boeing 777 aircraft from the Guam - Tokyo-Narita route earlier this year, however, due to extra demand the airline is reversing its decision - at least between 28th October 2018 and 30th arch 2019. The service is currently being operated by a Boeing 737 aircraft, Patrick Quayle, from United, says, "Guam and Tokyo are important cities for United Airlines and we remain committed to supporting our customers and employees in these regions. - In the last few months, we have noticed the market begin to recover and, in response, we made the decision to resume widebody service between Guam and Tokyo to meet this rising demand." Sam Shinohara, United managing director of Asia/Pacific Airport Operations, said: "We are pleased to welcome back the B777s to the Guam-Tokyo route. This is a direct reflection of the increase in demand for travel to Guam and our valuable relationships with many business partners such as the Guam Visitors Bureau and major travel agency partners in Japan. The more than 60,000 additional seats not only helps meet the inbound demand from Japan but also offers our Guam customers with more options when travelling to Tokyo, the mainland U.S. and beyond."